Dr. Yang, Jwing-Ming will teach you basic acupressure for the entire body based on his training of traditional techniques of Tui Na and Dian Xue massage. Acupressure, similar to acupuncture, is based on the concept of Qi (life energy) which flows through meridians in the body. In treatment, physical pressure is applied to acupressure points, or acupoints, with the aim of clearing blockages in these meridians. Stream or download qigong video lessons by Dr. Yang, Jwing-Ming. Free download with samples. In-app purchase to access all videos. Easy-to-follow whole-body acupressure massage lesson. 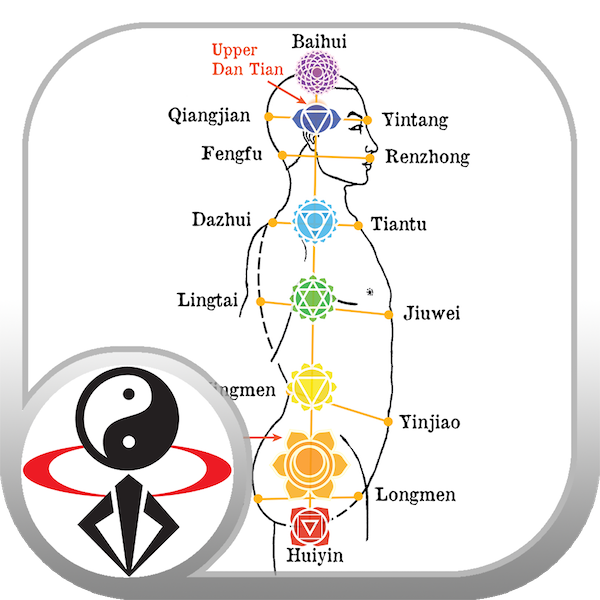 Dr. Yang, Jwing-Ming will teach you basic acupressure for the entire body based on his training of traditional techniques of Tui Na and Dian Xue massage. Acupressure, similar to acupuncture, is based on the concept of Qi (life energy) which flows through meridians in the body. In treatment, physical pressure is applied to acupressure points, or acupoints, with the aim of clearing blockages in these meridians. By relieving areas of tension and stagnation, the Qi can flow smoothly, resolving the problem at its root. Pressure may be applied by hand, by elbow, or with various devices. Some medical studies have shown that acupressure may be effective at helping manage nausea and vomiting, for helping with pain relief, headaches, stomach ache, and many other common ailments. Areas where tension or stagnation develop in the body are the location where an injury or illness will eventually manifest. These areas can be treated with acupressure and moving qigong exercises to resolve the underlying problem for complete healing. The Chinese discovered thousands of years ago that pressing certain points on the body relieved pain where it occurred. This sometimes also benefited other parts of the body more remote from the pain and the pressure point. Gradually, they found other locations that not only alleviated pain but also influenced the functioning of certain internal organs. After years of meticulous observation and record-keeping, ancient Chinese physicians developed ways of curing certain illnesses by striking or piercing specific points on the surface of the body. You can learn how to complement the care you receive from your doctors and help your body relieve itself of common ailments by pressing the proper spots, as taught in this video lesson.